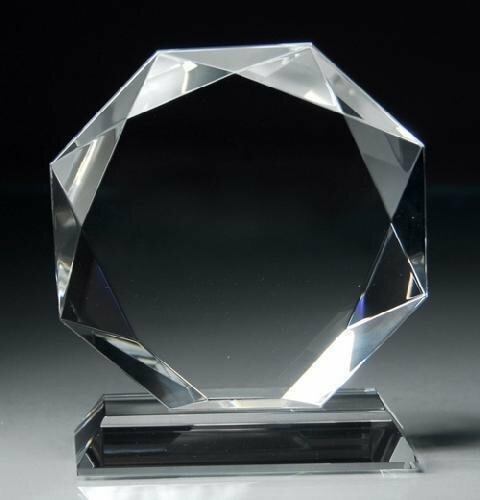 The octagon crystal is an elegant choice for a crystal award or personalized gift. It is an excellent choice for recognizing the achievements and accomplishments of special people and outstanding business partners. The optical crystal is laser engraved and sand blasted. 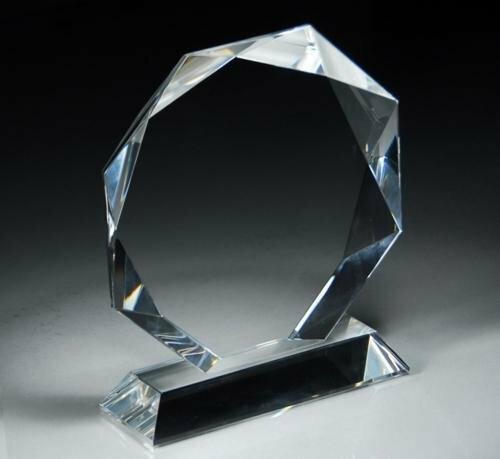 The Octagon Tower is an elegant crystal award. It is an excellent choice for recognizing the achievements and accomplishments of special people and outstanding business partners. It also makes a wonderful personalized gift. 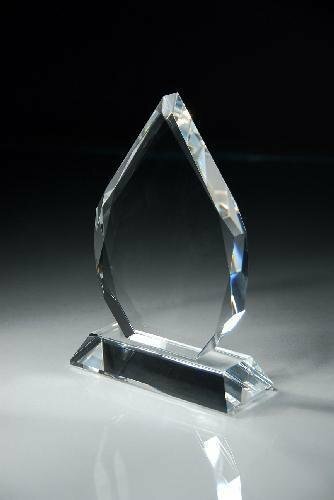 The crystal award is laser engraved and sandblasted on the front slanted surface. 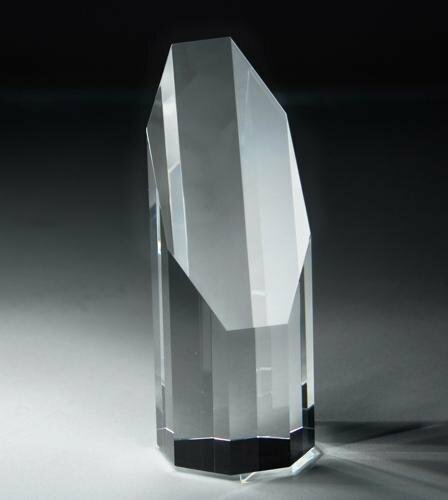 The simplicity of this ecenomical optical crystal makes it a good choice for many occasions. Just add your imagination. The optical crystal is laser engraved and sand blasted. 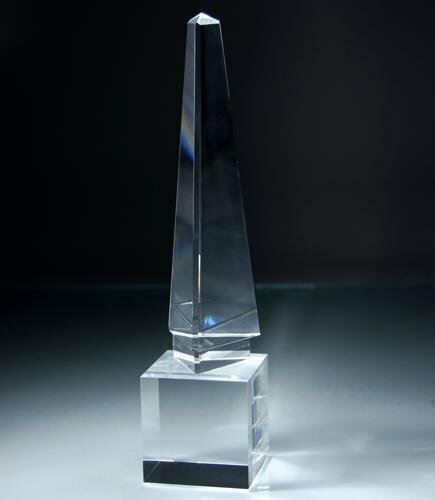 The Soaring Tower is a tall sleek crystal award primarily used to recognize extreme achievers. 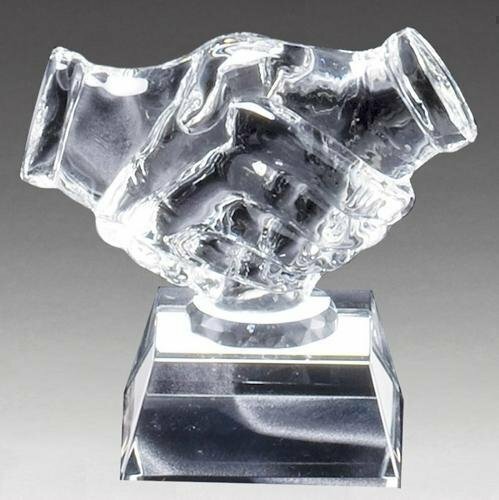 This crystal trophy has a 4 sided base and a 3 sided tower on top. The optical crystal is laser engraved and sand blasted for an elegant effect. Normally, only the base is engraved. However, the lower part of the top front can also be engraved. 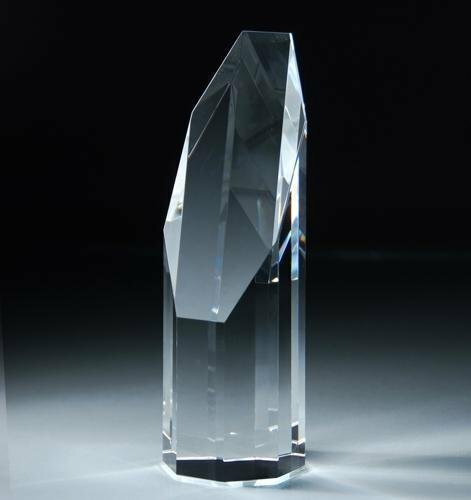 This crystal award is an excellent award for those who exemplify teamwork. 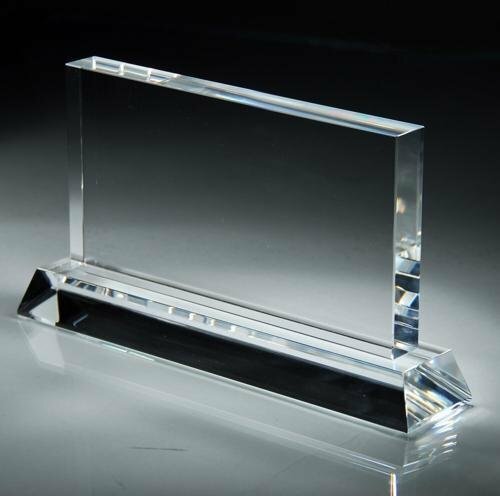 The teamwork crystal is personalized with a scratch engraved silver aluminum plate. 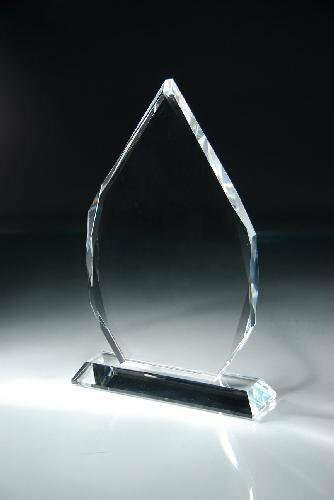 The tear drop is an elegant crystal award that makes an excellent choice for recognizing the achievements and accomplishments of special people and outstanding business partners. It also makes a wonderful personalized gift. 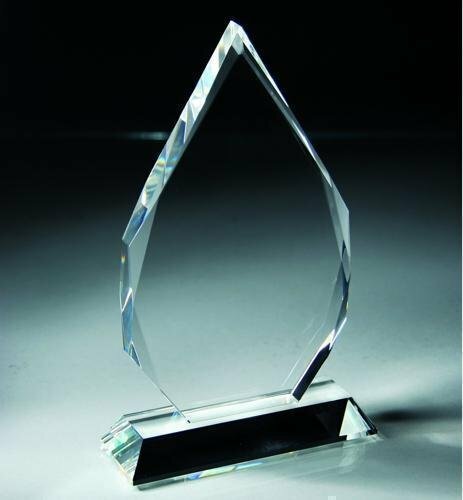 The optical crystal award is laser engraved and sandblasted.